Home / Gaming / Jurassic World Evolution: Should we believe the hype? Jurassic World Evolution: Should we believe the hype? In recent times, a lot of big-name game releases have failed to impress: either not delivering as much as they claimed that they would, or being revealed as fundamentally bad games. Now we see the hype whirlwinds whipping up around Jurassic World Evolution, set to be released in the summer of 2018. With such a huge name on it, we have to wonder if Jurassic World will buck the recent trend of underwhelming premium titles, or if it will leave fans disappointed. When the original Jurassic Park movie was released in 1993, it was a smash hit, leading to three more movies and a host of fantastic games across various platforms, such as Jurassic Park on Game Boy in 1993 and Jurassic Park: Operation Genesis on PC, PS2, and Xbox in 2003. Then, as the 2010s rolled in, so did more dinosaur action, even before the cinematic franchise reboot took place. With the rise of mobile gaming came the very popular Jurassic Park Builder in 2012, based on the original trilogy, which was followed by the ever-popular Jurassic World: The Game which is also a park building game app. 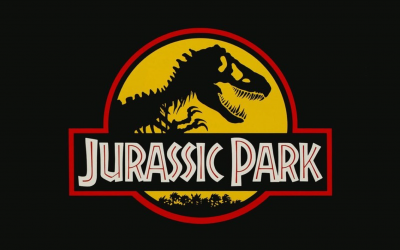 The popularity of Jurassic Park, and indeed the latest addition to the franchise, spread to online casino gamers. You can still find the Jurassic Park and Jurassic World online slots at LeoVegas, as well as a 1600 welcome bonus that can be played on them. Simply put, there have been many fantastic Jurassic Park and Jurassic World games, with the movies and games garnering a staunch fan base which is used for high-quality products. Frontier announced Jurassic World Evolution in August 2017, but if asked if they were the right choice a few years ago, the answer may have been a no. In 2013, Frontier created an Xbox exclusive, console rendition of the much-loved Zoo Tycoon games but they made one detrimental error. While the graphics were great, the missions were challenging at times, and the animal interactions were well made, they capped the zoo limit. This meant that large zoos could not be filled with animals as there was a cap on how many could be placed which was also filled by the placement of concession stands and decorations. Naturally, on the PC predecessors, the player had far more customisation options and could fill their land, so the new console version was disappointing to some. 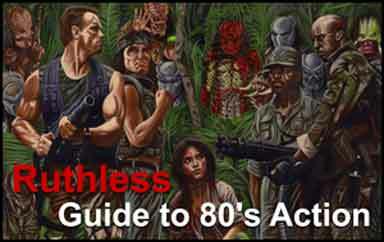 If this cap were to be put into Jurassic World Evolution, it would almost certainly render it unsuccessful to many. When dealing with Jurassic giants that featured in the movies, like a 75-foot long apatosaurus, or even the great beasts of the Cretaceous, such as a 39-foot long tyrannosaurus rex or a massive marine reptile like the 49-foot mosasaurs, the park containing them will need to be huge, and the fans will want to fill it up with loads of prehistoric animals. 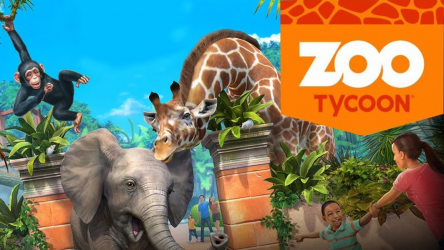 Towards the end of October 2017, Frontier were able to redeem themselves with Zoo Tycoon: Ultimate Animal Collection which garnered huge praise for its more realistic animal behaviors, more animal species to have in the zoo, and most importantly the zoo limit had been removed. It was a masterful move by Frontier to remove any doubt about the limitations of the upcoming Jurassic World Evolution game. From what has been shown, it looks as though the Jurassic World Evolution game will, as you would expect, be beautifully made, but also have some great features. Much like in the Zoo Tycoon 2007 expansion Extinct Animals, youll be able to unearth new fossils, but at dig sites on this upcoming game, rather than running around the park with a special detector. In the hands of Frontier, it appears to be safe to say that we can trust that Jurassic World Evolution is set to live up to the hype.